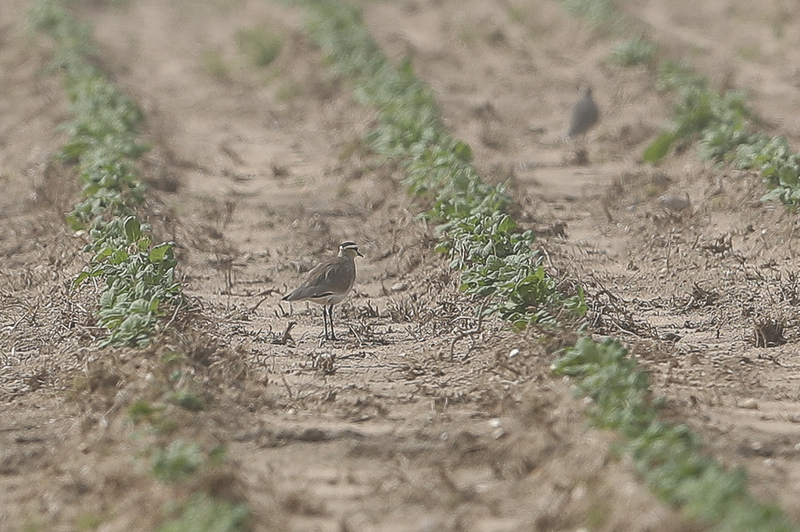 Whilst birding the pivot irrigation fields of Haradh on 3 February 2017 we came across a minimum of five Sociable Lapwings Vanellus gregarius. Some were in breeding plumage with others still in their winter dress. 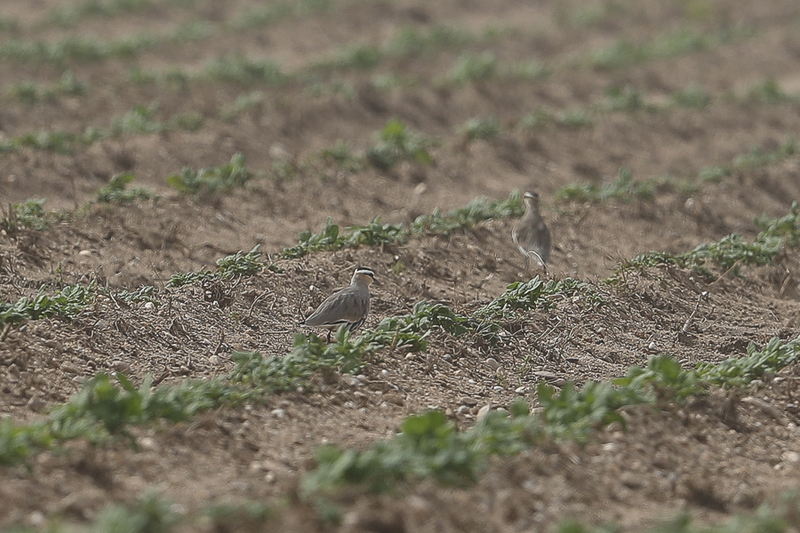 The birds were associating with large numbers of Northern Lapwings and were probably part of the seven we saw two weeks previously indicating the birds are wintering in the area. The Sociable Lapwing is globally threatened, and categorised as Critically Endangered on the IUCN Red-list of threatened species. It is a migratory species breeding in the central steppes of Kazakhstan, with small numbers in southern Russian. The majority of the population migrate through south-west Russia, into Turkey, through the Middle East region including Saudi Arabia, before spending the winter in north-east Africa (mainly Sudan) and the Arabian Peninsula. There is an additional flyway where birds migrate south-east through central Asia into Pakistan and north-west India. The birds that winter in the Arabian Peninsula do so mainly in Oman with others in the United Arab Emirates. A few winter in Saudi Arabia with birds mainly in the northwest of the Kingdom around Tabuk. 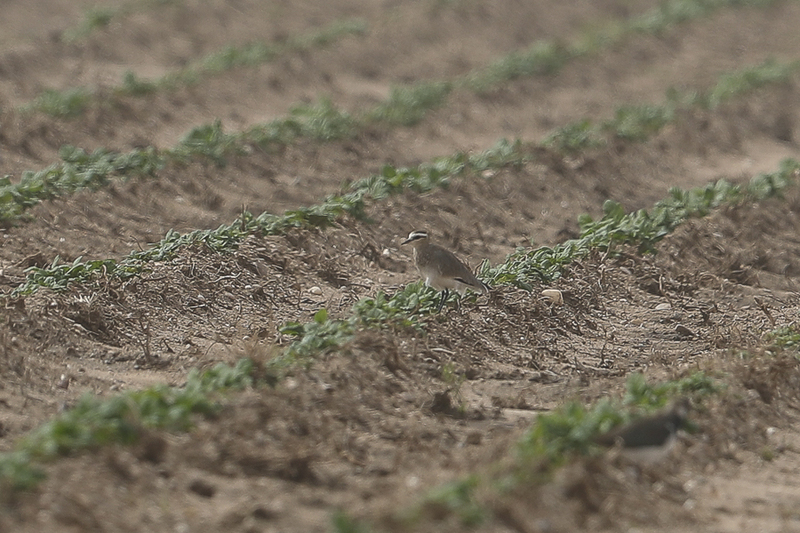 The birds we have seen in the Eastern Province in the last two winters constitute a new wintering area for the species. They frequent large pivot irrigation fields where they favour newly ploughed areas. This type of habitat is becoming more frequent in the Kingdom and probably explains the increasing numbers of birds wintering in Saudi Arabia.